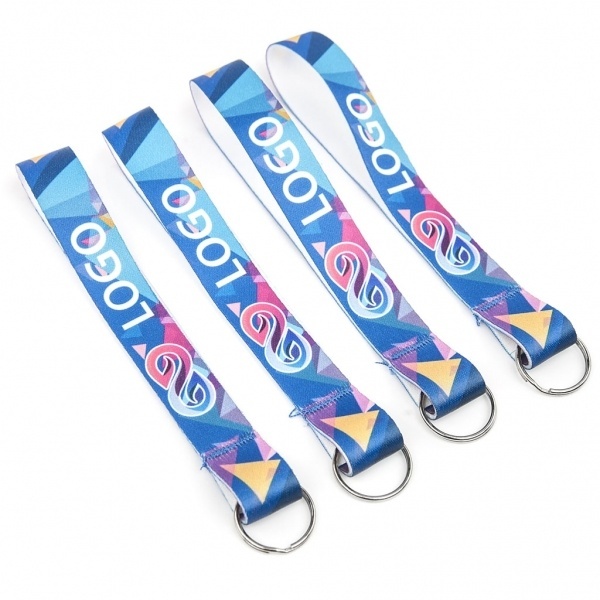 Our Ad Loop lanyard adds a loop of fabric to the traditional metal keyring, allowing the user to hold keys or other items loosely around their wrist, or handle larger bunches conveniently. The lanyard is a proven, effective advertising tool and provides a large print area for your design. We use sublimation techniques for printing which preserve the texture of the lanyard. You will find endless uses for this practical lanyard keyring.